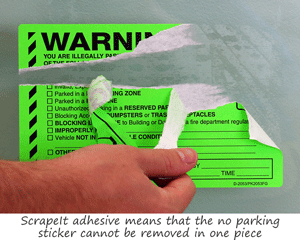 • Scrape-It™ stickers use a strong adhesive. 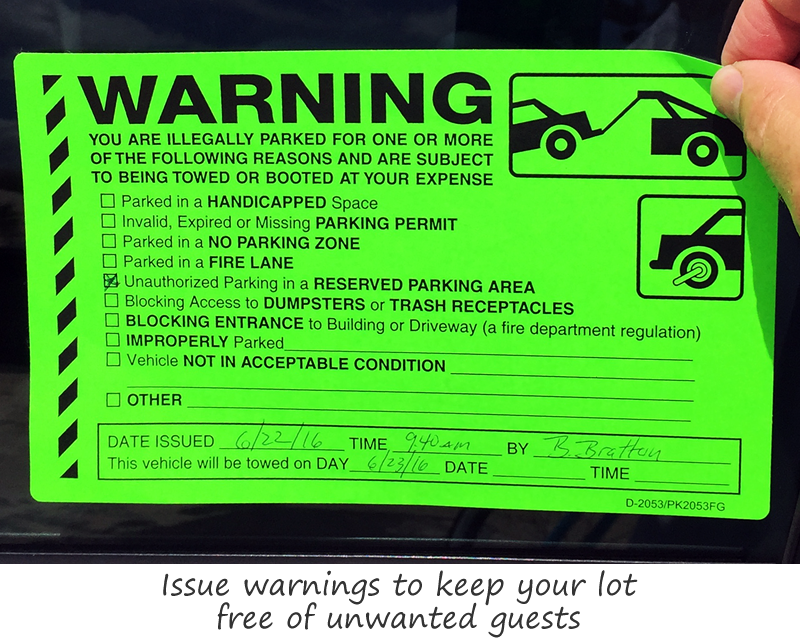 You'll need a blade to remove these. 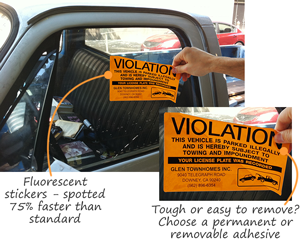 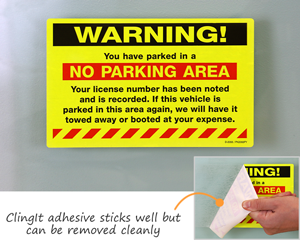 Cling-It™ stickers have a strong adhesive that sticks well, but removes cleanly. 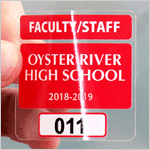 • The 8" x 5" stickers are twice as large as the mini labels sold by competitors. 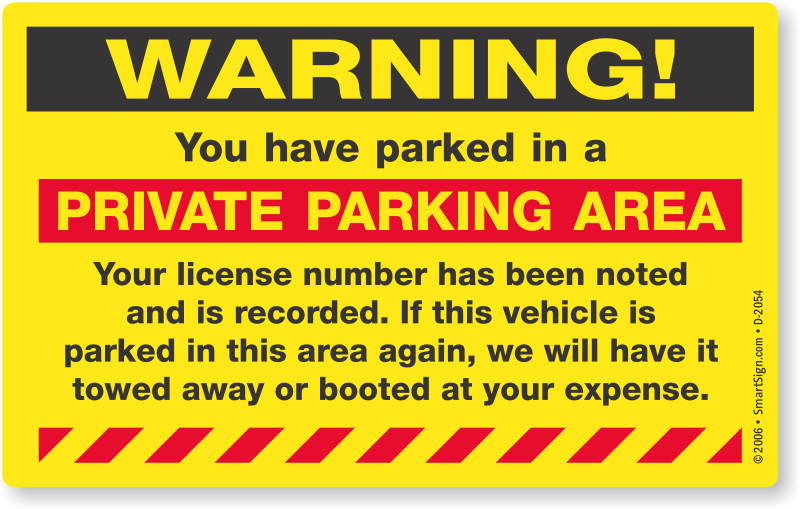 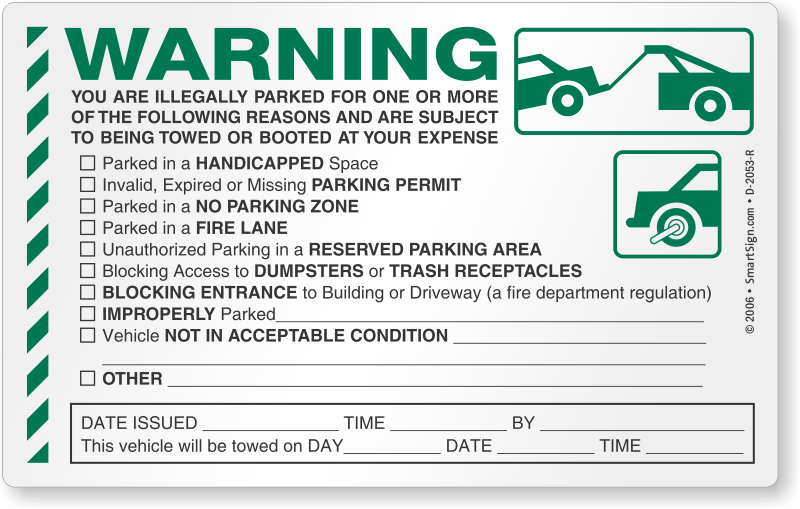 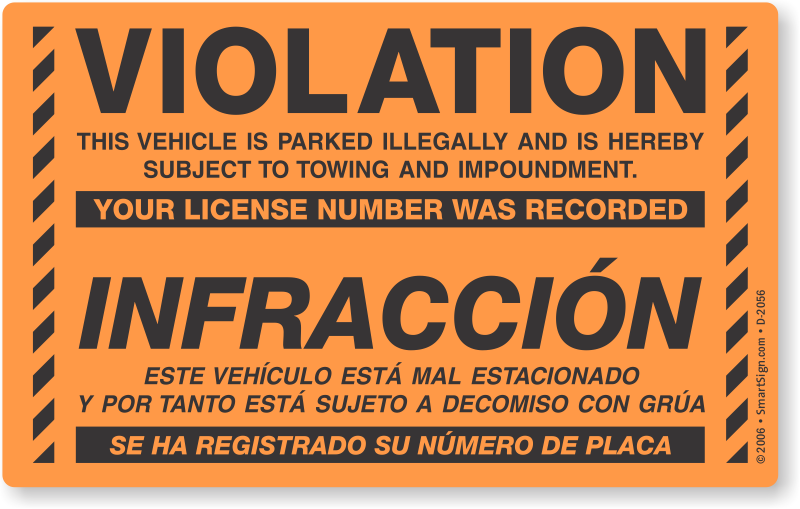 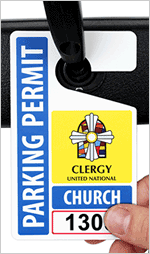 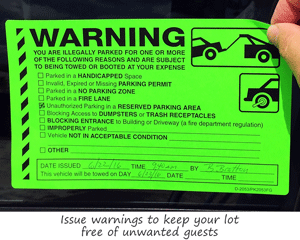 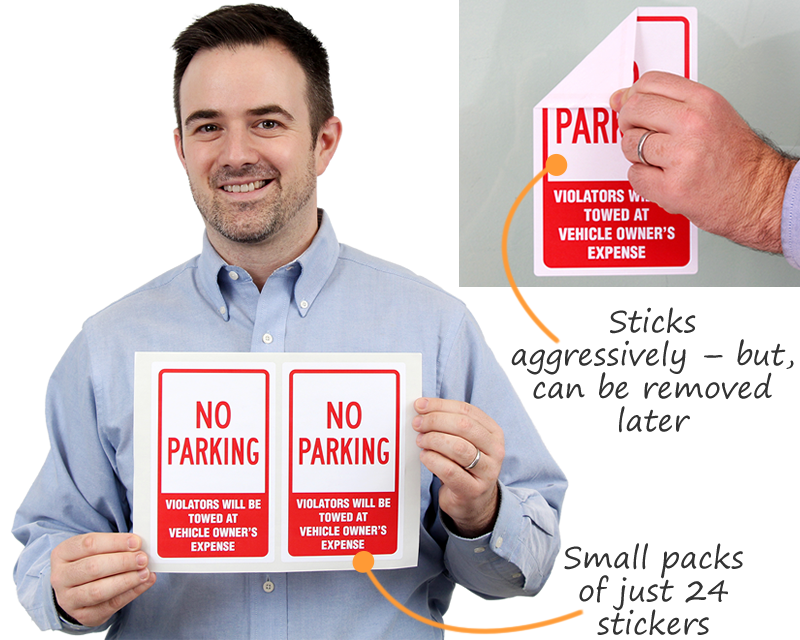 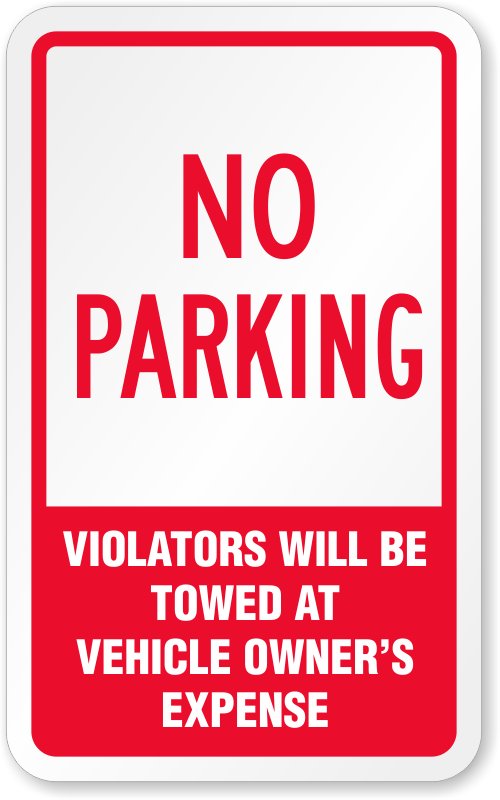 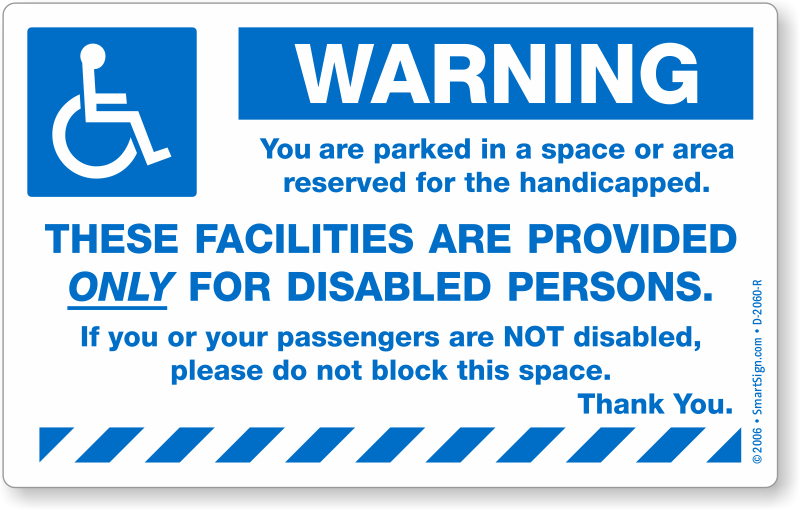 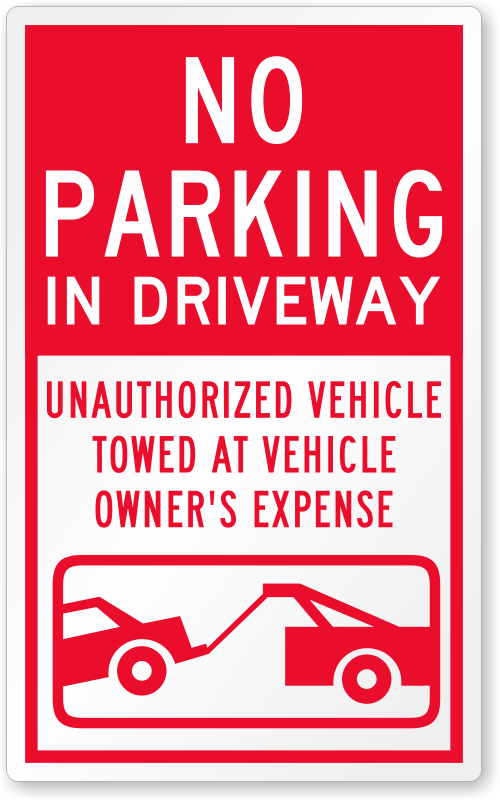 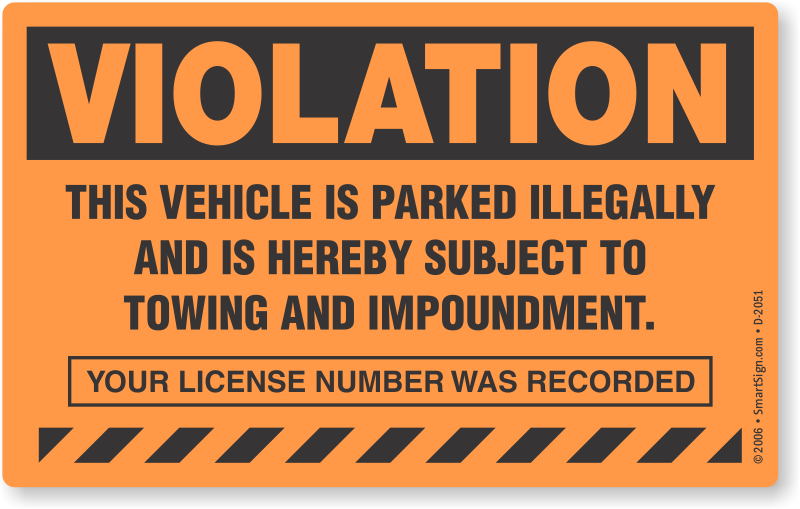 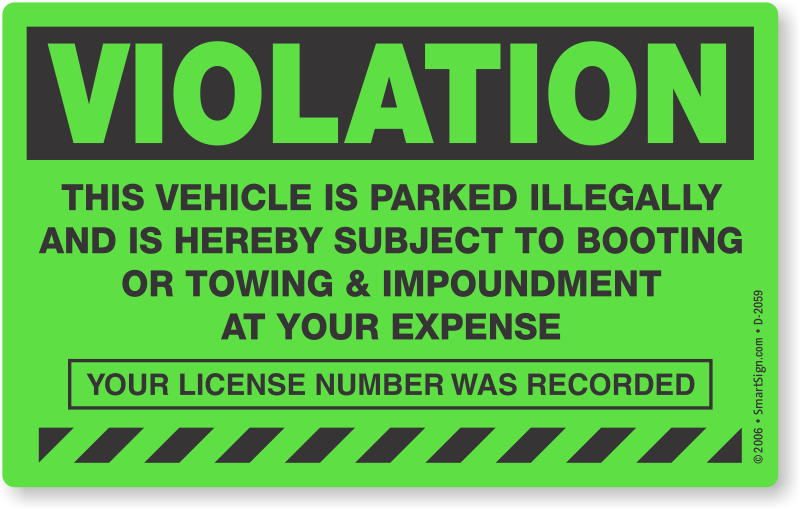 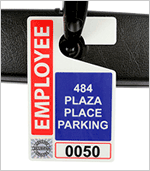 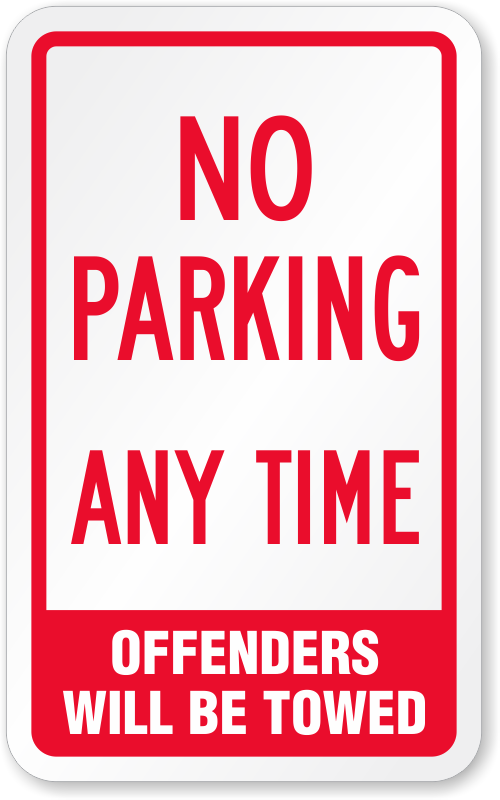 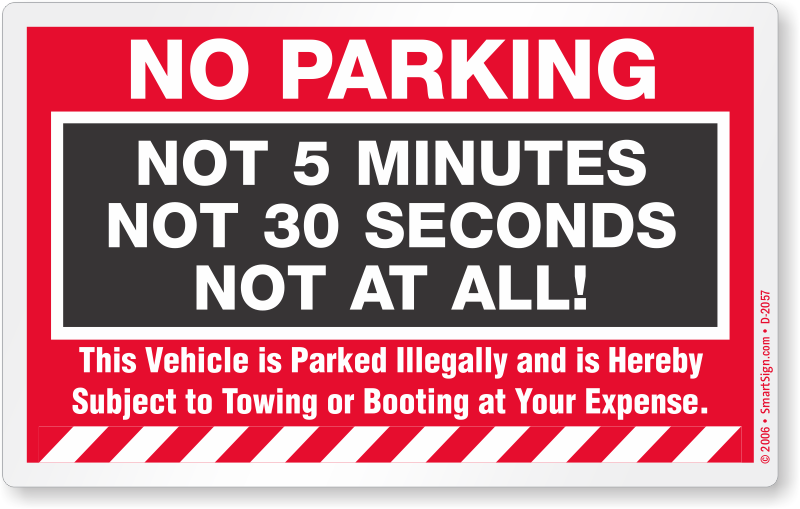 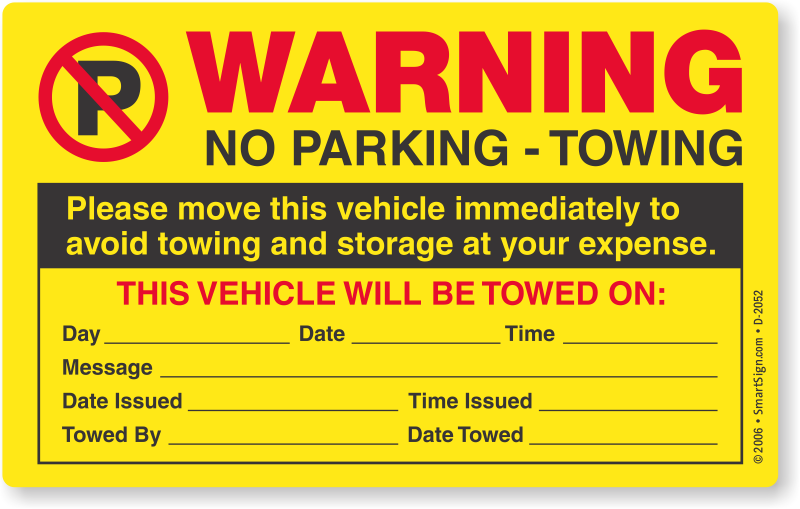 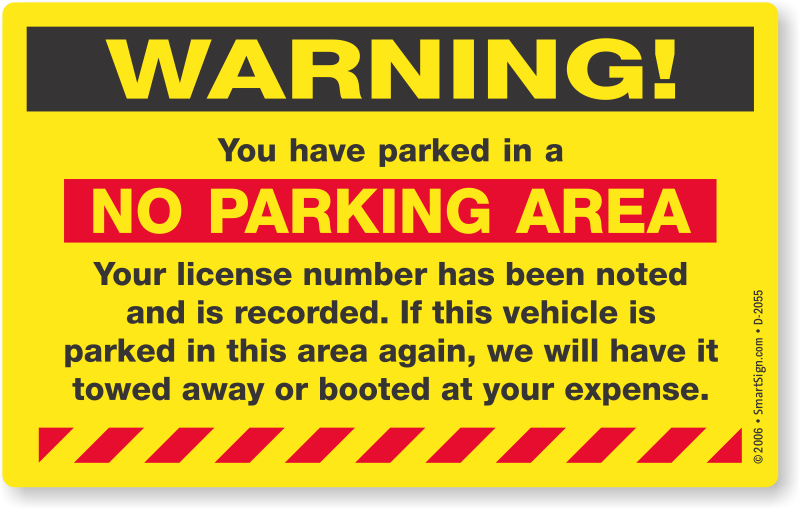 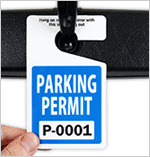 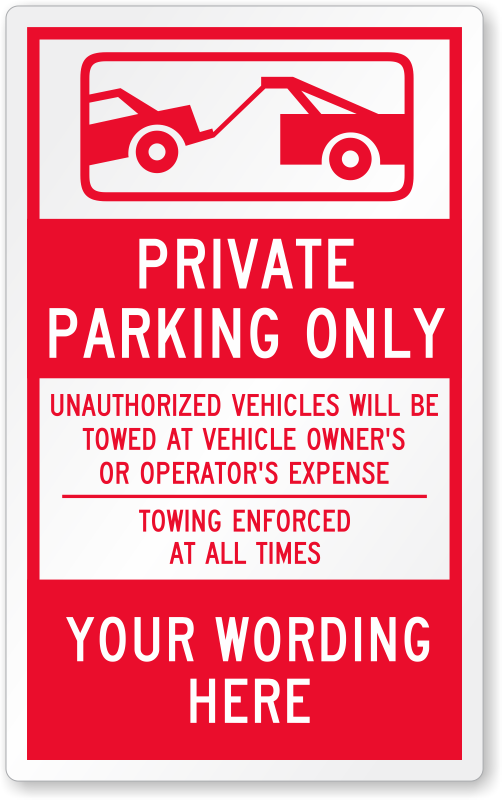 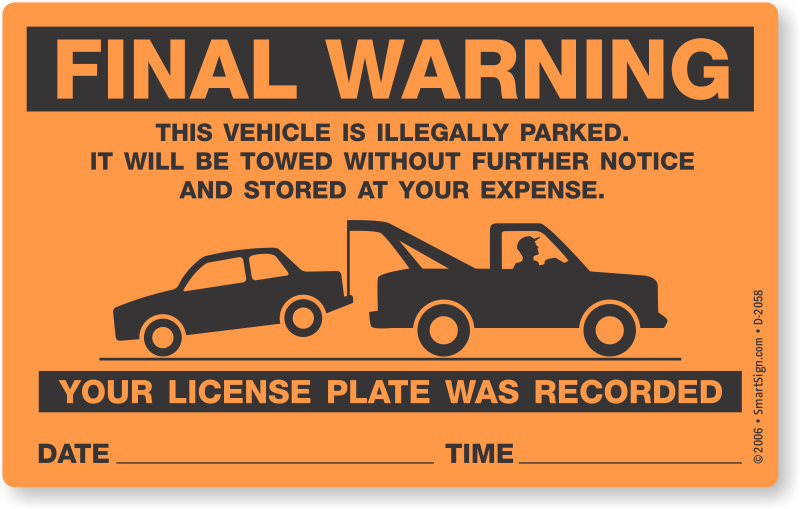 • Check out our stock and custom stickers to find the best option to protect your parking lot. All stickers are 7.75” tall x 4.75” wide. 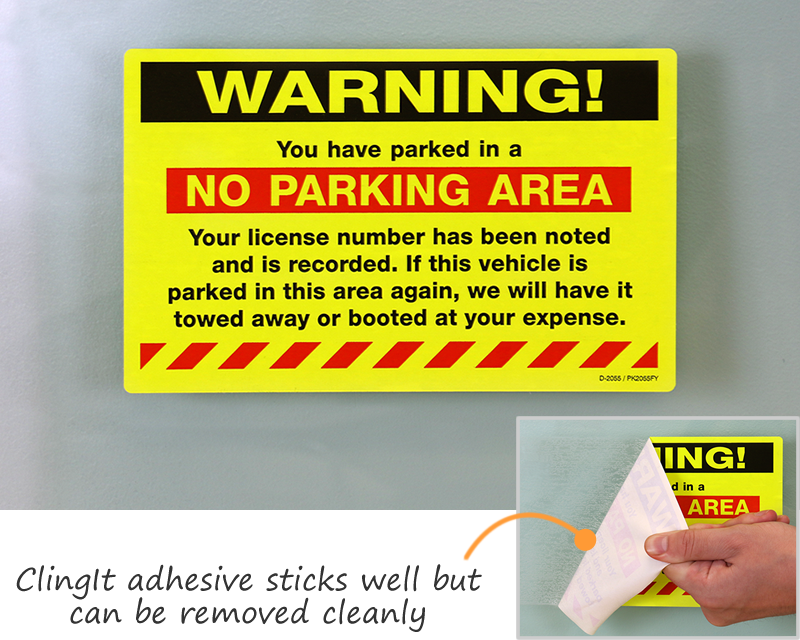 They are available in a range of plastic or paper materials. 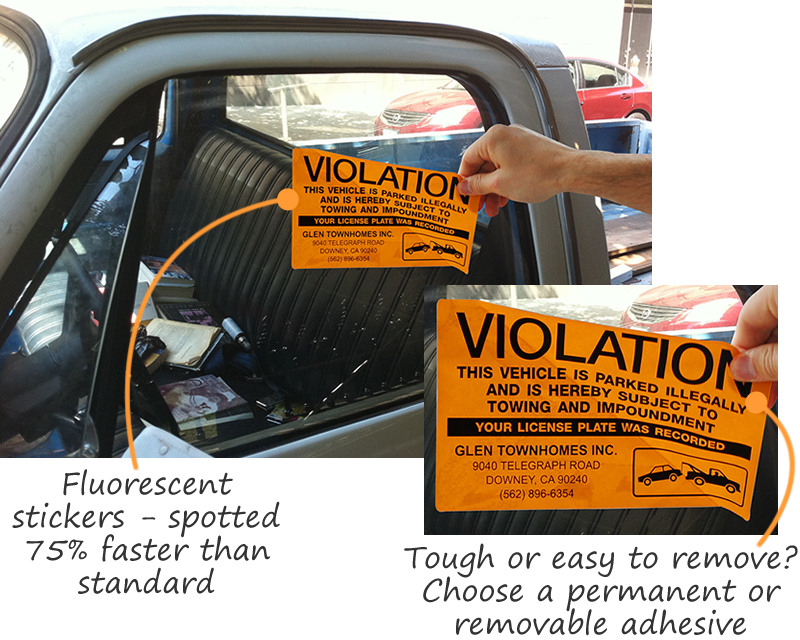 The last design can be personalized with your address - for enhanced credibility.